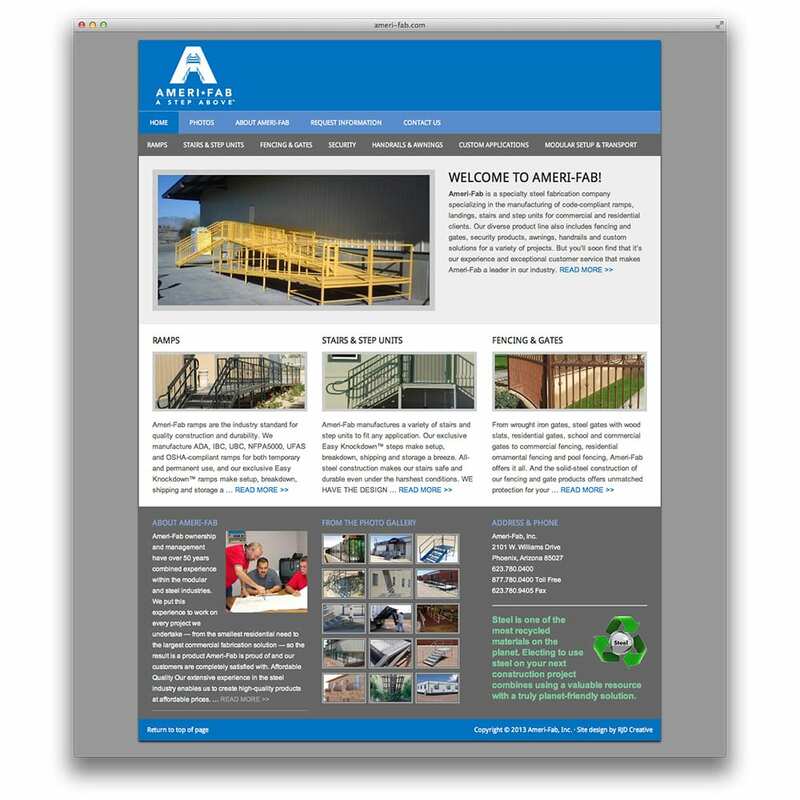 Manufacturer of industrial ramps, stairs and step units in Phoenix, Arizona. 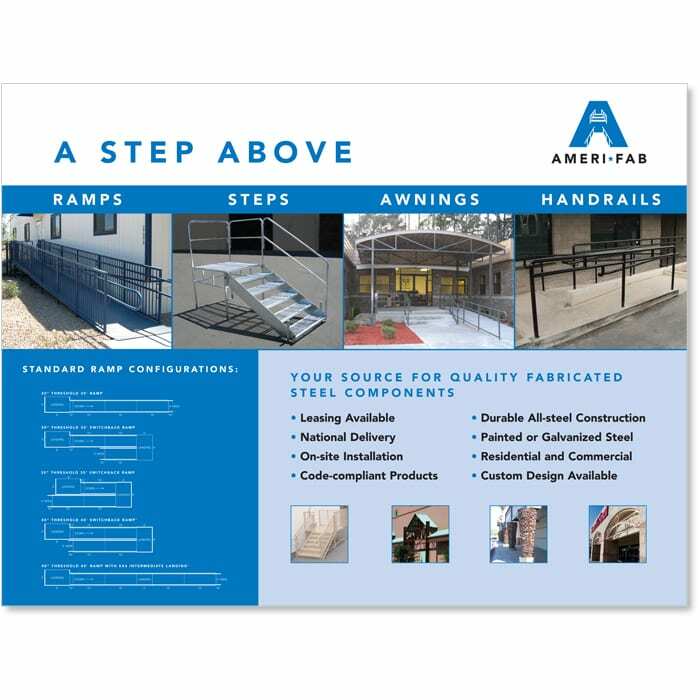 RJD Creative developed a revised identity system for Ameri-Fab Incorporated, a light steel manufacturing company in Phoenix, Arizona specializing in metal stairs, step units and ADA-compliant ramps. 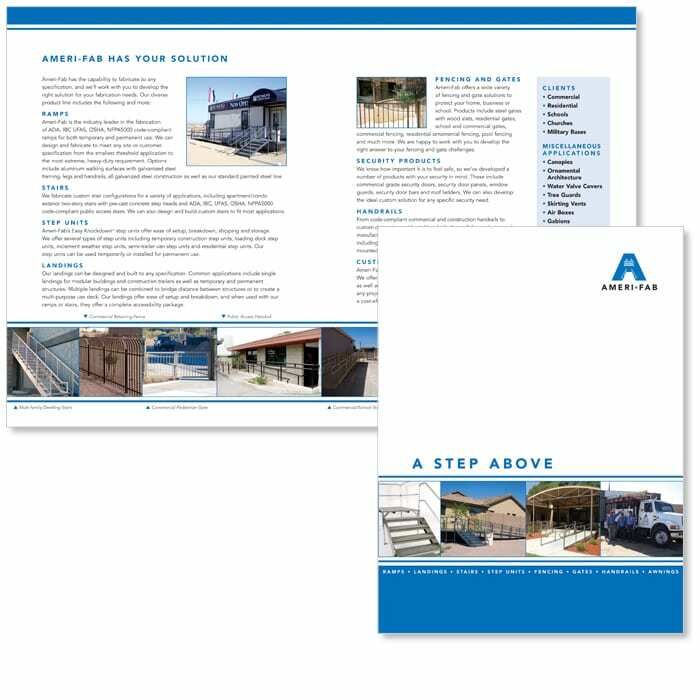 This included the development of a new logo symbol, tagline, corporate stationery system, collateral brochure, sales sheets, trade show booth and company web site. 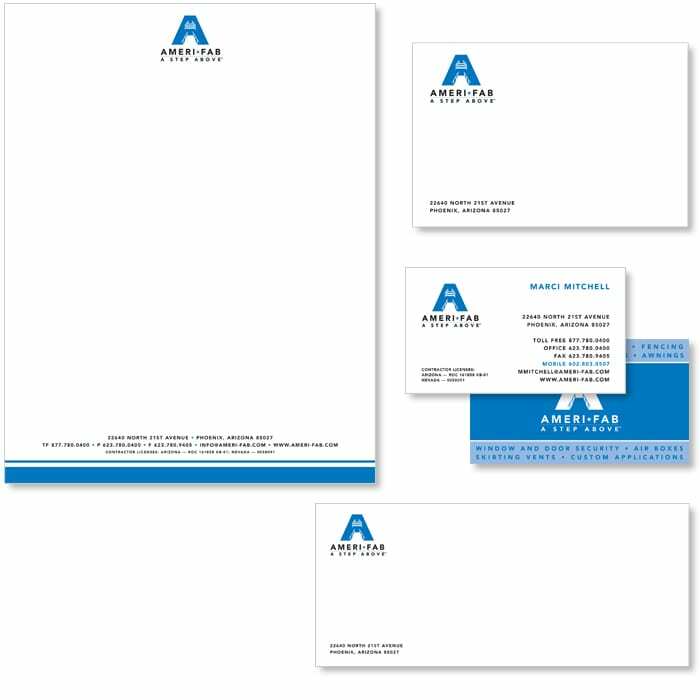 As the updated identity was applied to not only its printed marketing materials and web site, but company vehicles and employee wearables, it manifested itself in a new sense of company pride among employees, resulting in enhanced customer service and employee productivity.